A truly great urban waterfront is hard to come by. The PPS staff has examined more than 200 urban waterfronts around the world--cities on the sea (Hong Kong, Vancouver, Miami, Athens), rivertowns (London, Paris, Buenos Aires, Detroit), and sturdy lakefront burgs (Milwaukee, Chicago, Cleveland, Zurich). It is exceedingly rare to find a waterfront that succeeds as a whole, although there are promising elements in almost all of them. So when we sat down to share our notes about which waterfronts deserve to be called the world's best, it only made sense to create two categories. The first, "Waterfront Cities," considers the entire waterfront--how well it connects by foot to the rest of the city and sustains a variety of public activities in multiple areas. The second category, "Waterfront Places," looks separately at individual destinations along the water. When you experience these extraordinary public spaces, you realize how much more would be possible with a coordinated strategy to make the whole waterfront a place for people. As a city of islands, the waterfront here really is the heart of town and has quietly adapted over time as Stockholm evolves, providing many new and different ways for people to use it. With few traffic-heavy roads along the water, walking and bicycling become great pleasures, enabling people to discover an array of attractions all along the city's shoreline. 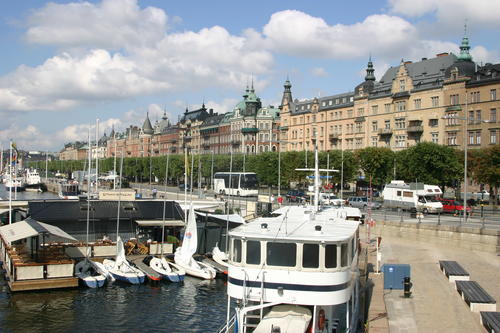 What really sets Stockholm apart are the promenades and esplanades that naturally draw people to public destinations on the water, such as the outstanding City Hall (where the Nobel Prizes are awarded) or the wonderful Kungstradgarden (King's Garden). Then, when you are ready to move away from the water, another pedestrian-oriented path will appear, ready to whisk you off to a destination elsewhere in the city. Amsterdam may be called the Venice of the North and San Antonio the Venice of the Western Hemisphere, but the real Venice is one-of-a-kind. The quintessential waterfront city, Venice's famous canals make the streetscape into a seascape -- the whole life of the city revolves around waterways. In most cities, roadways are the most problematic aspect of the urban landscape; in Venice, the 'roadways' are the most beautiful part. Indeed, getting lost on the footpaths of Venice is the best way to experience the city. In such a picturesque setting, where every scene leaves a lasting imprint in your memory, the challenge is to identify which ingredients can be of use to more contemporary urban environments (see How to Turn a Waterfront Around for lessons drawn from Venice and other great waterfronts). Located on the tip of a peninsula jutting into the Baltic Sea, Helsinki's compact downtown is almost entirely on the waterfront. In addition to its role as a regional transit center for ferries, tourist boats, and ocean liners, the waterfront serves as a popular gathering spot with markets, parks, and an esplanade. A bike ride along its safe and tranquil paths takes you past numerous neighborhoods centered around small public spaces. These intimate community places are complemented by main destinations of a grander scale, also along the water. The best of these is the central waterfront (which tops our list of waterfront destinations, below). In a sense, all "roads" (including waterways) lead to this focal point. People can intuitively follow an intricate network of small streets and promenades to arrive there, or they can simply follow the water. One of the most visually stunning bays in the world, Sydney Harbor is also an amazing place to stroll, take a boat ride or just sit a spell. Locations like Circular Quay, The Rocks, and the Botanical Garden fit well with the harbor itself to create a unique waterfront atmosphere. 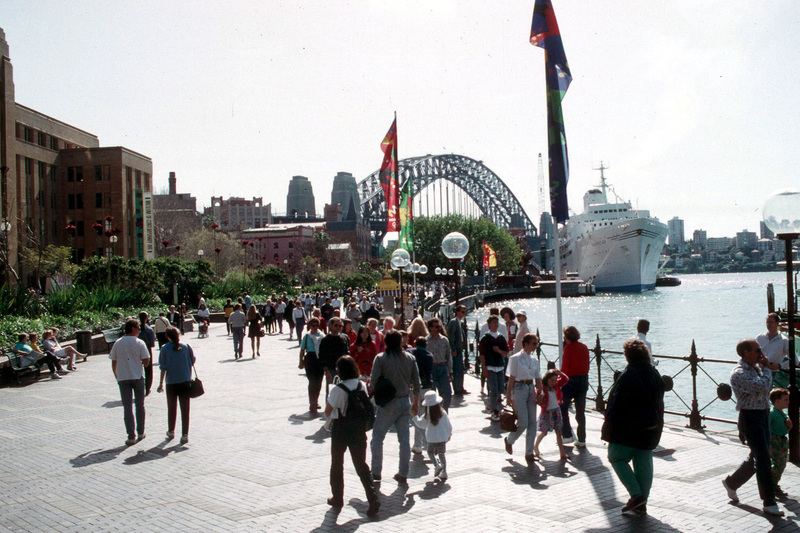 As in Stockholm, Sydney's waterfront destinations are best accessed by ferry. When people can get around via the water, they are apt to hang around much longer and do more things on the waterfront. The upshot is a constant hum of people having fun at a huge variety of activities, which could easily occupy someone for days on end. Hamburg is one of Europe's largest ports, home to an industrial waterfront located on an estuary where the Elbe flows into the North Sea. Despite its sometimes gritty character, the waterfront is accessible to people through a scenic promenade linking the shore to the downtown. 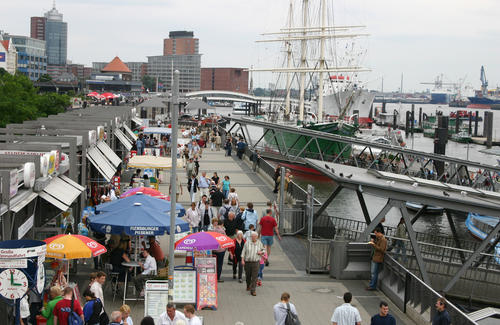 Hamburg stands as an excellent example of how cities with working waterfronts can still create active public places without interfering with economic activity. The following spots are the best of the best of waterfront public spaces. To visit any of them leads to the inevitable question: Why aren't there more places like this? Every city needs places on its waterfront with the qualities and sheer appeal of these destinations. 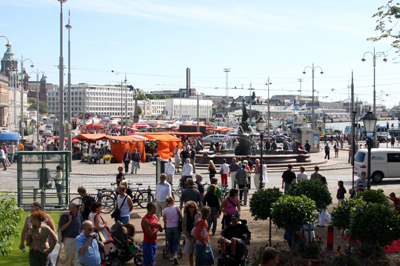 Helsinki's top waterfront draw combines an indoor market hall with a large public plaza which is itself home to an open air market. Easily accessible by foot, tram, or ferry, its location in the center of bay enhances the sense of destination. There are no major roads and hardly any cars to be found, creating an ideal setting for human-scaled buildings and small parks, where anyone can sit down and look out over the scene. The boats coming and going complement the market bustle, making for a public space that approaches perfection. As PPS likes say about all great squares, this spot reaches out like an octopus, drawing people toward it--both from the city streets and from the waterborne routes of the bay. The most remarkable "tentacle" is the esplanade that leads here from the heart of the city. Walking down to the shore on this path is a finely paced, tantalizing journey--a veritable study in how to take advantage of a waterfront setting by building anticipation and heightening the senses on the route there. 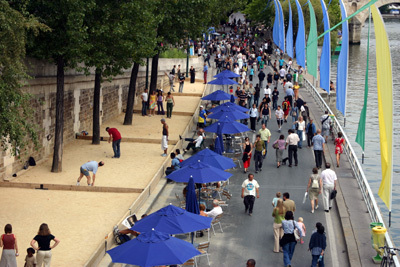 For one month every summer, the Georges Pompidou Expressway along Paris's Right Bank transforms into a pedestrian refuge replete with a sandy beach. A dazzling array of attractions vie for your attention--from activities like dance lessons, climbing walls, games, and swimming (in floating pools, not the Seine), to amenities like beach chairs, cafes, misting fountains, and shady palm trees. Its enormous popularity can be traced to strong management and innovative programming, which keep the place humming well into the night with shows and performances. Though financed in part by corporate sponsors, the acknowledgments are appropriately modest. There are no outrageous logos on display, and the experience never feels overwhelmed by commercialism. Paris Plage is a truly public space of tremendous benefit to everyone. These two spaces have a symbiotic relationship, with the large, oval-shaped Kongens Nytorv Square serving as the gateway to Nyhavn, Copenhagen's top waterfront district. 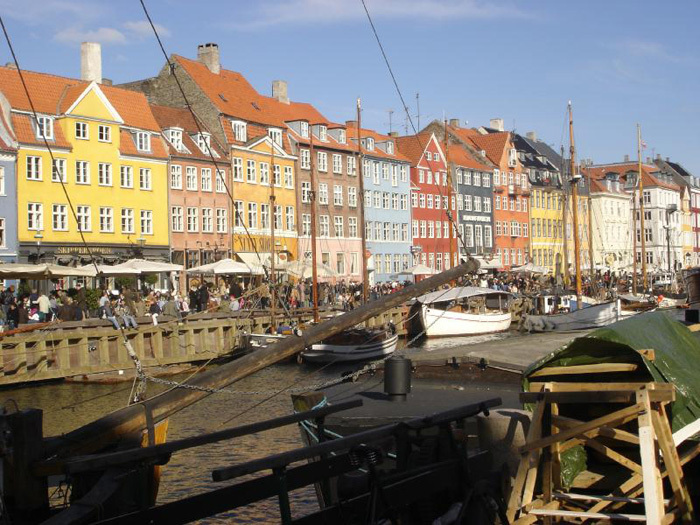 Nyhavn makes a compelling promenade, packed with restaurants overlooking a small canal that harbors classic old ships, that naturally leads you right into the heart of the city. The square has recently been improved with more active management; and now hosts public events and programs that draw people to the area. Both places also exemplify the octopus effect, with many streets emanating out toward other destinations in the city. 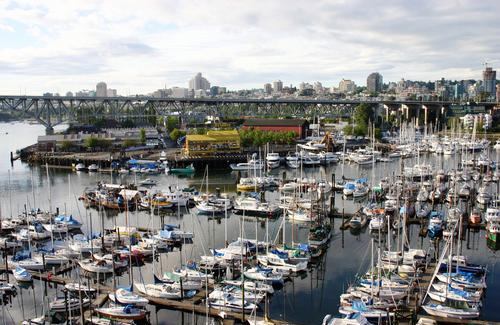 Rising from the husks of old factories and workyards, Granville Island offers a cornucopia of markets, play areas, and cultural activities, all tucked into a stunning waterfront setting. It has marvelously succeeded not by adhering to a master plan or pursuing a themepark-like design, but by evolving organically along with local institutions, businesses and public destinations. Today it is a top draw for tourists as well as a beloved community place for the burgeoning population of high-rise dwellers in downtown Vancouver. A lesson in how great places can be created under any conditions with minimal expense. This wonderful promenade and beach symbolizes the very definition of eccentricity. 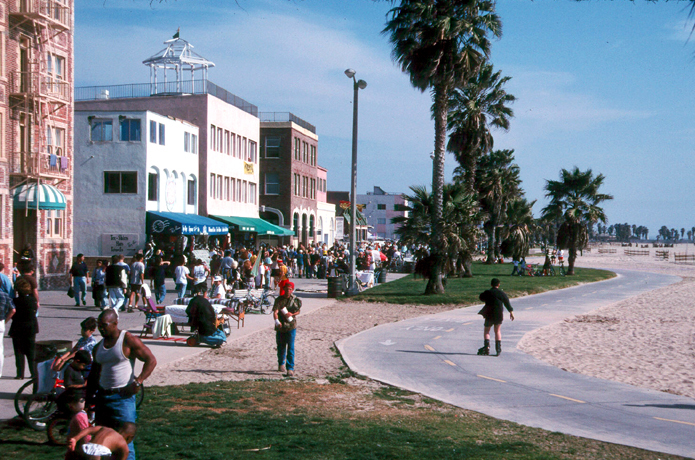 In what might aptly be termed a human circus, Venice Beach provides a public stage for artists, seniors, sunbathers, basketball players, religious proselytizers, and of course, half-naked muscle-bound exhibitionists. Oh, and don't forget the street markets, which add a whole other dimension of social interaction. It's enough to put an ear-to-ear grin on your face and make you thank the world for such interesting people--and interesting places. 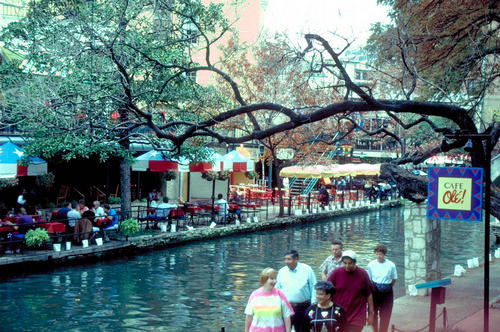 Yes, Riverwalk is a tourist magnet, but don't let that fool you. San Antonians come here in droves too. Most impressive is that people choose to come to Riverwalk all year round, even in the oppressive heat and mugginess of a Texas summer. For one thing, the water and shade cool things down--an important quality of waterfronts everywhere that we often overlook. And besides, why worry about the heat when you are surrounded by such a beautiful setting and such fascinating crowds? The charm of People's Park lies in its simple authenticity. It has grown organically as new activities requested by the public, such as boating, a floating pool, and community meeting facilities, have been gradually added to what used to be a very plain site. It is so successful that six more are going to be developed in the near future. Copenhagen should make it a priority to site these new parks next to important civic buildings along the water, such as the Library and the new Opera House, that could showcase themselves to the public to far greater effect if given the opportunity. 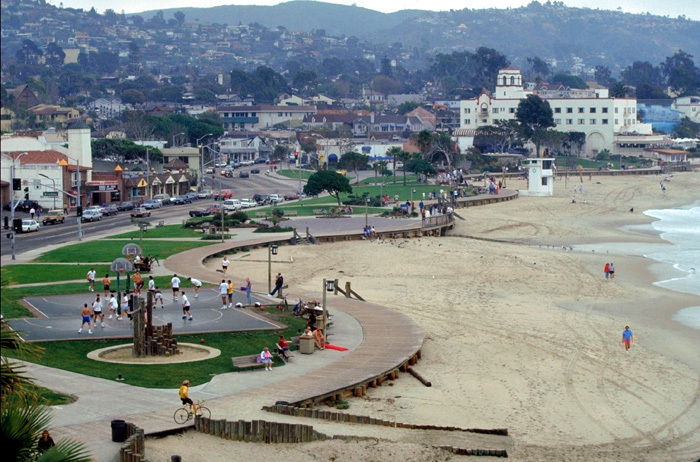 Laguna Beach offers an inspiring example of how to link a downtown to the water, even when a major road--in this case the Pacific Coast Highway--stands in the way. Its Main Beach Park is easily accessible on foot from downtown because the highway has been traffic calmed with landscaped medians. The park itself draws thousands of people every day, with a boardwalk that seamlessly weaves together basketball and volleyball courts, play structures, a recreation center with lawn bowling, and several open grassy areas for games and picnicking. Together with artist-designed benches and plentiful public art, the park's activity creates a unique fusion of recreation and culture. 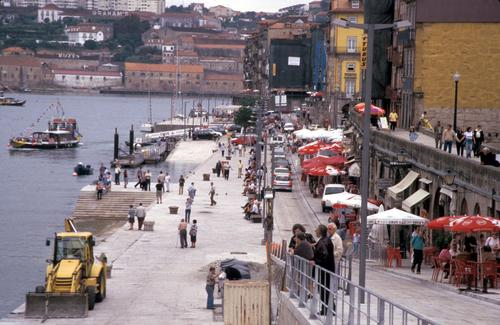 Perhaps the best of many great waterfronts destinations of Portuguese origin around the world, the Ribeira District is simple and compact yet supports a wide variety of activity. Set in an historic district, much of the public area has been redesigned with contemporary materials and amenities. The new design features are very attractive, functional, and in no way ostentatious, serving as a sort of flexible platform for activities and supporting a range of gathering options for groups. 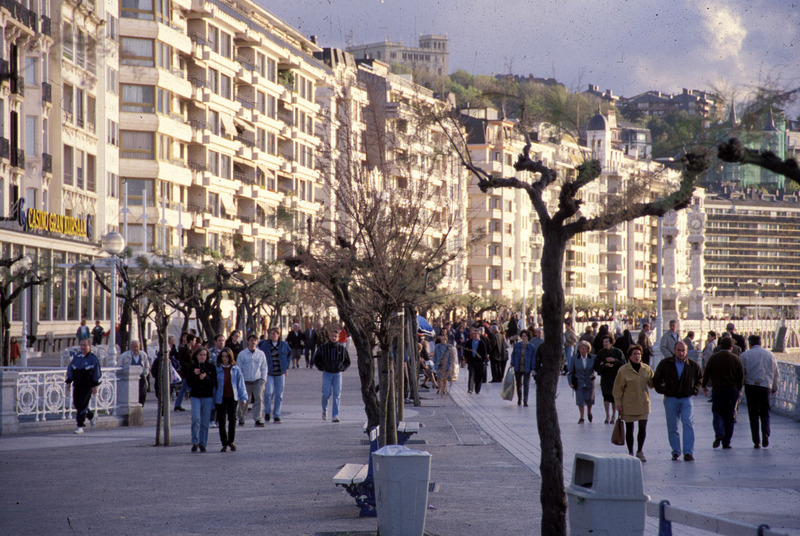 Children play, tourists drink port in cafes, elderly friends talk and stroll. Automobiles pass through on a narrow channel with a low curb, so that drivers move through the space with less priority than pedestrians. 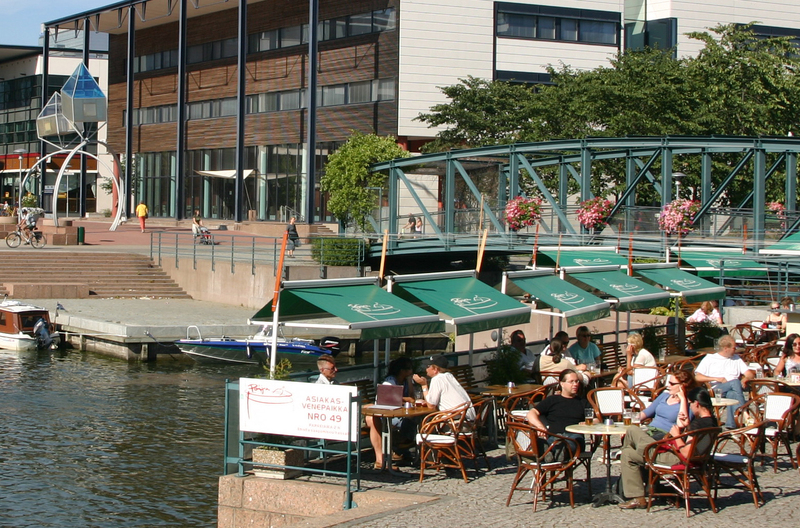 Formerly a shipbuilding area, Aker Brygge is now a vibrant and densely packed new district. 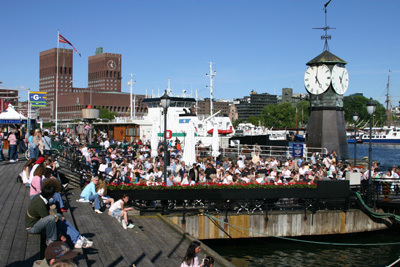 Its public promenade is one of the best-used public spaces anywhere, an area for strolling that has become the focal point of the harbor and the entire city of Oslo. Tourists and locals alike enjoy the cafés, playgrounds, sittable steps, engaging public art, floating restaurants, and small fishing boats that sell their catch at the dock. 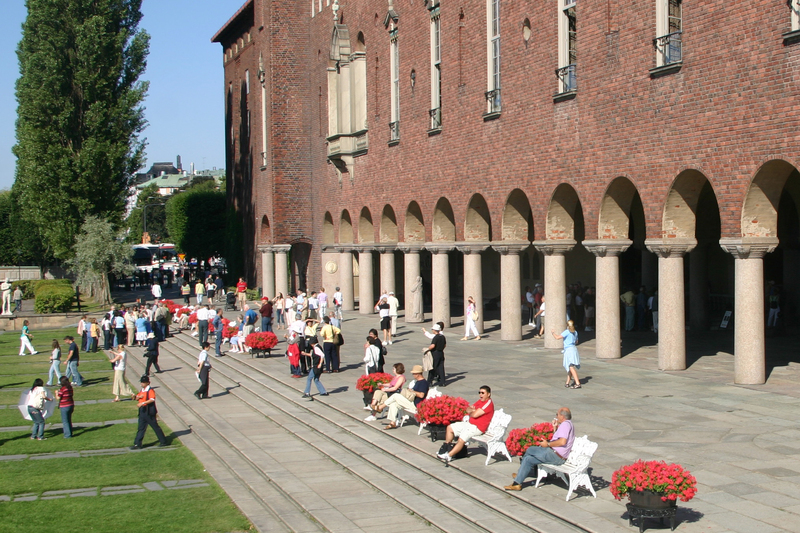 Stockholm City Hall is proof that an iconic building doesn't have to detract from the places around it. Located by one of the busiest sections of the city's waterfront, its grassy plaza, courtyards and interior public spaces welcome everyone who set foot there. Brooklyn's southern shoreline is home to the best stretch of waterfront in New York. Coney Island remains a one-of-a-kind destination. 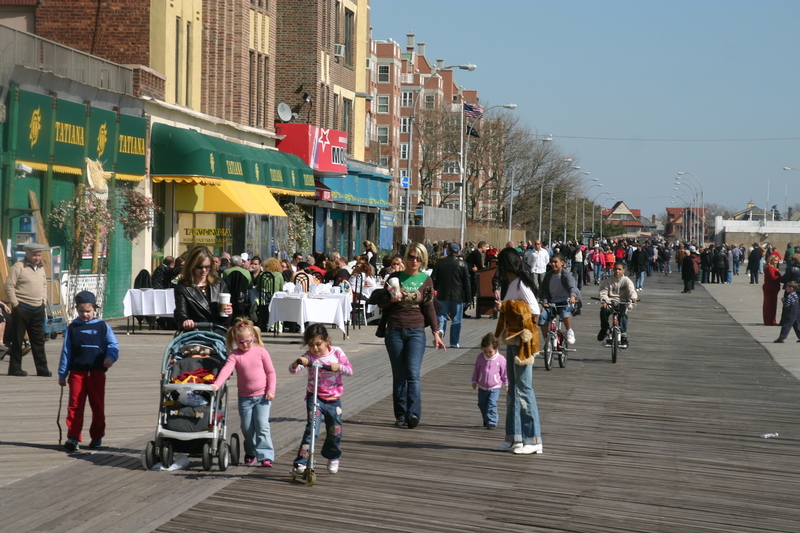 The boardwalk and amusements are jammed with people during the summer months, while on Surf Avenue, beloved attractions like the Cyclone roller coaster and Nathan's Famous Hot Dogs operate cheek-by-jowl with small food vendors and flea markets. Brighton Beach, meanwhile, feels like a different world from the carnival atmosphere of its famous neighbor. Russian cafés serve customers on the boardwalk and locals of all ages engage in animated conversation while enjoying the sea breeze. 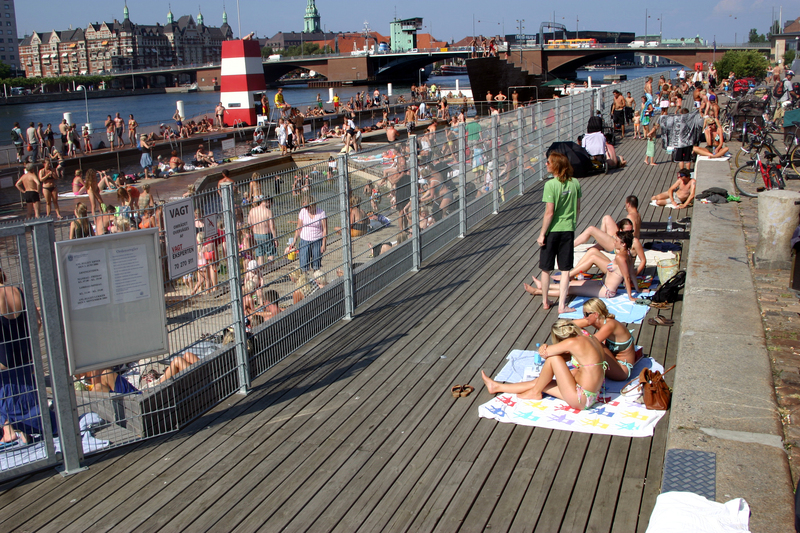 Both places share a special quality: They are public spaces where spontaneity flourishes. With so much to choose from, it's not necessary to go there with a plan. One of the UK's most popular seaside towns, Brighton's seafront is lined with a delightful mix of shops, cafés, pubs, galleries, and entertainment. Even on a blustery day, the promenade is alive with people strolling and taking in the views and the sea air. A major destination is the beautifully restored Brighton Pier. Though it features such modern entertainment as amusement park rides and arcade games, the Victorian-era structure lends a feeling of nostalgia to the experience. 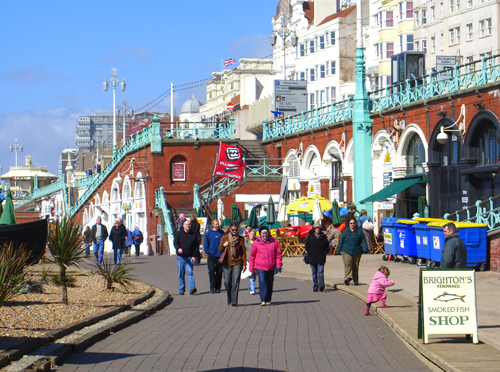 But it's the mix of people who give Brighton's seafront its excitement and energy.